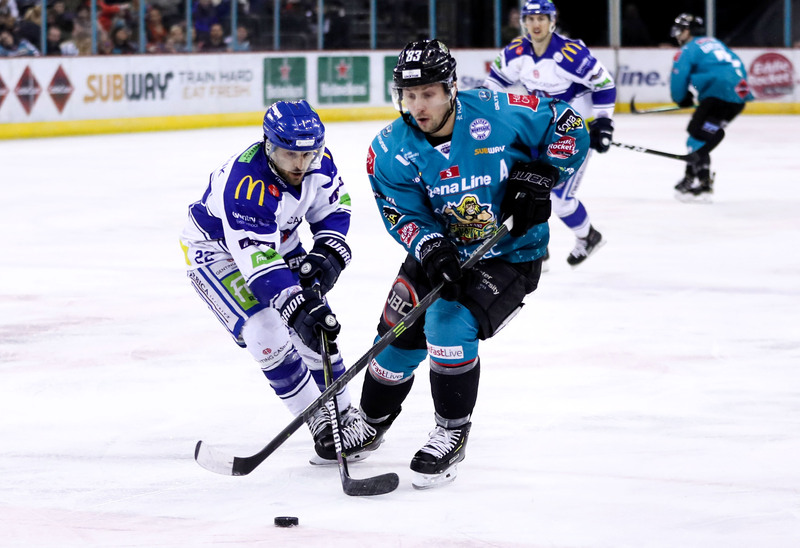 It’s Saint Patrick’s weekend, and the Belfast Giants took to the ice at the SSE arena for Saturday’s sequel against the Coventry Blaze wearing specially commissioned jerseys. But before thoughts could turn to revelry, there was the small matter of another crucial night in the Elite League. As the teams took to the ice in Belfast (unchanged from Friday Night- Belfast still without Beskorowany and Rutherford), Giants fans were also keeping a keen eye on the league leading Cardiff Devils, facing off against the Sheffield Steelers. Ahead of puck drop, the arena rose to its feet in acknowledgement of Giants equipment manager Jason ‘Taff’ Ellery’s 1000th game, a worthy moment of recognition for an unsung hero of the organisation. Belfast controlled much of the possession in the opening ten minutes- with Coventry finding themselves pinned high in their own zone, unable to develop anything other than the odd breakaway. Curtis Leonard was the first to the box, taking a marginal cross checking penalty at 8.45. Belfast’s impressive penalty kill on the weekend continued however, with sharp zone clearing and an aggressively forecheck. 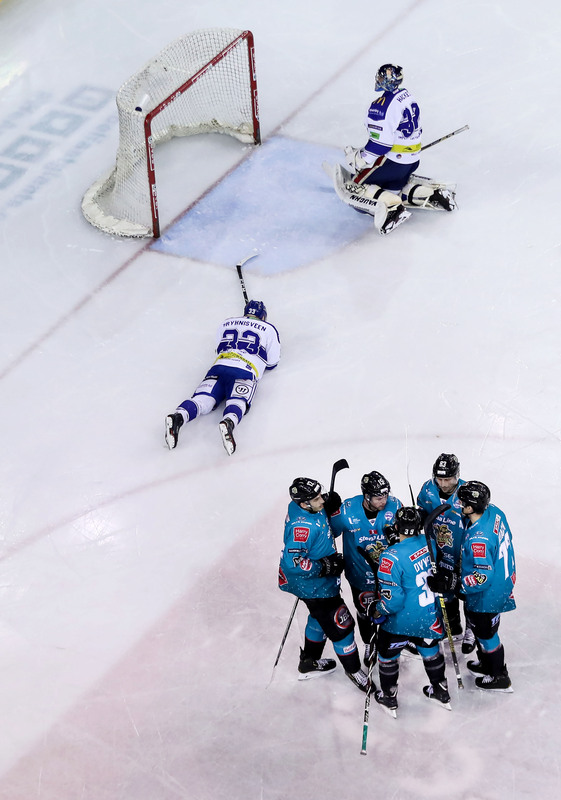 Belfast’s first power play of the night came at a good time, following several minutes of Blaze pressure. Ben Lake headed to the penalty box for a slashing call at 13.51, but despite a strong offensive cycle Matt Hackett kept his goose egg intact. The second period would start with 26 seconds of 4 on 4 followed by a Blaze powerplay, as Tim Crowder and Kyle Baun took high sticking and interference penalties respectively at the bottom of 1. As the teams left the ice, the Teal Army voiced their displeasure at a number of questionable calls and no-calls. Patrick Dwyer battled his way into the slot at 24.06, earning Belfast a power play through a Shawn Pauly hooking call. Paul Swindlehurst committed to a diving poke check in the D-zone, earning himself a tripping penalty and sending Coventry onto the power play. Stephen Murphy protected the lead with a stunning pad save on his left hand side, earning himself a standing ovation from the SSE faithful as the sides returned to even strength. Belfast had the man advantage shortly after when Dominik Florian sat for high sticking at 35.19, but also failed to double their lead. Referee Blake Copeland was helped down the tunnel 5 minutes into the final third, after a collision against the west end plexi glass. 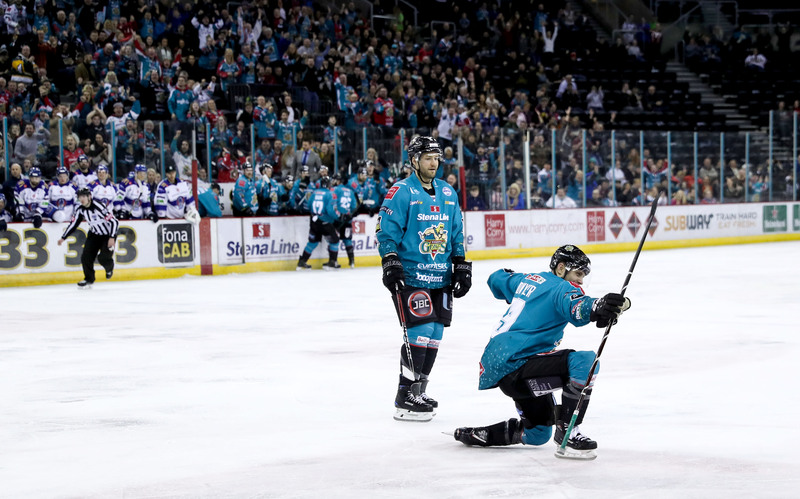 Belfast were denied a sure-fire second goal moments later by Matt Hackett; the former NHL turning away two golden chances in spectacular fashion to stick taps from his bench. 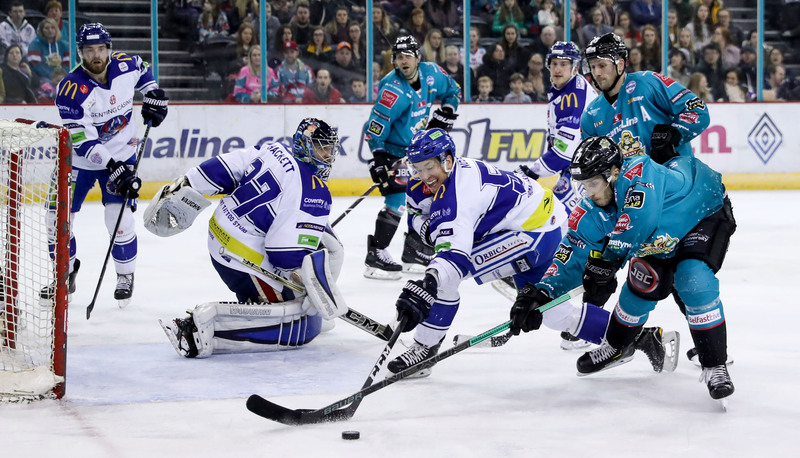 Belfast rallied, looking dangerous on the rush but could not find their third, despite a frantic goal mouth scramble. Coventry once again pulled Matt Hackett with the game in its final minute, pressing for an equaliser. With 27 seconds Coventry called a time out before a faceoff in their own zone. 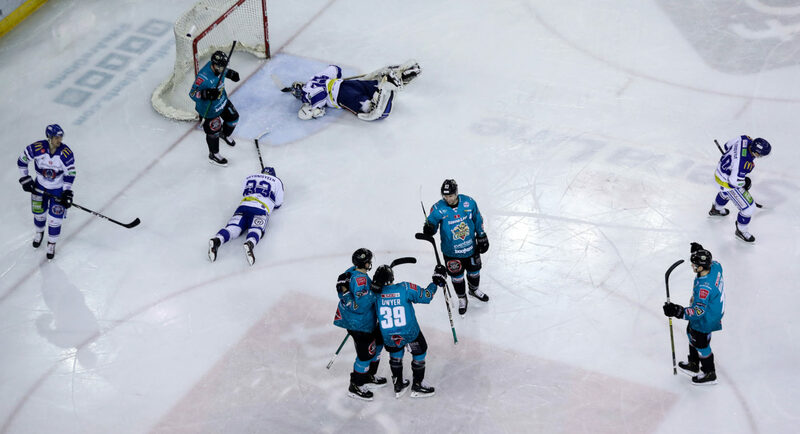 The net once again emptied, and with 6.9 seconds left in the game Bryhnishveen sent Belfast onto the power play to see out the game and seal the win.